To commemorate the first season of the upcoming circuit series, we’ll be giving away more boxes next month! Giveaway details will be posted here on Friday, May 3rd – followed by participation on the Panini Games Facebook page (and results on May 10th). 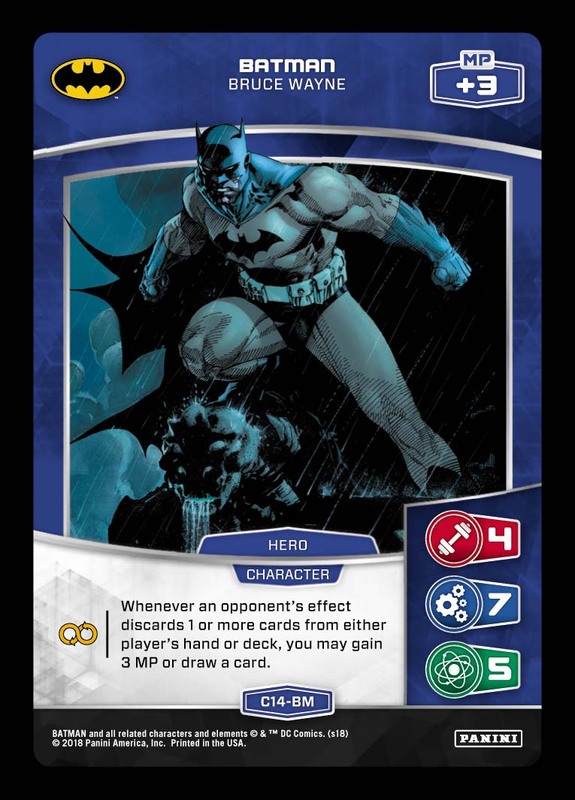 As seen in recent Deck Techs (such as GCPD and Titans), several builds in the current environment pack some form of hand disruption. Batman – Bruce Wayne acts as a strong check against these strategies, while also falling back on a favorable Trait and robust stats/MP. Don’t forget that an exclusive promo version of this card is coming soon! You’ll be able to obtain the P7-BM Batman and more in the MetaManiacs Championship Cup Circuit – signups for players and stores are open now. Continue following the blog for additional circuit series information – including dates, locations, supplemental prizes, tournament coverage, and more! Enter the weekend with three more teasers from Teen Titans Go!